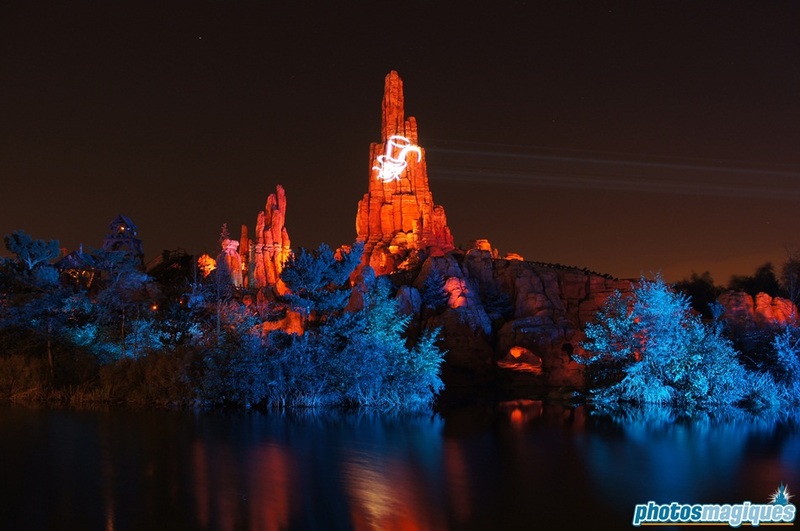 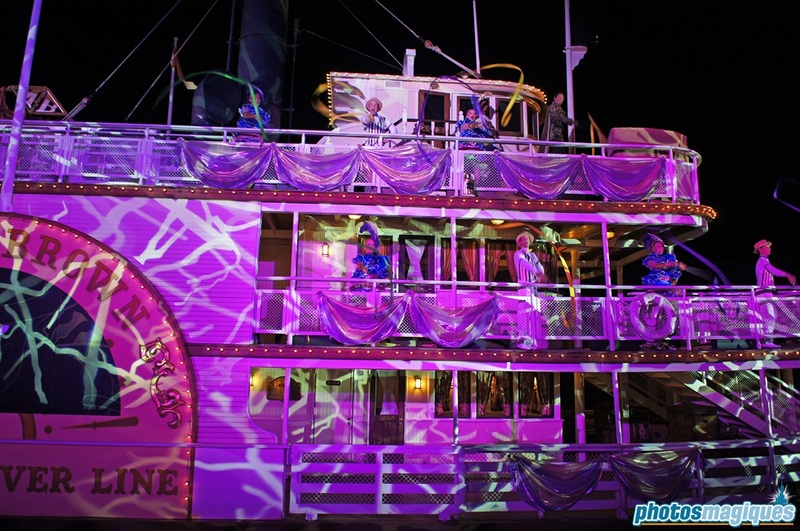 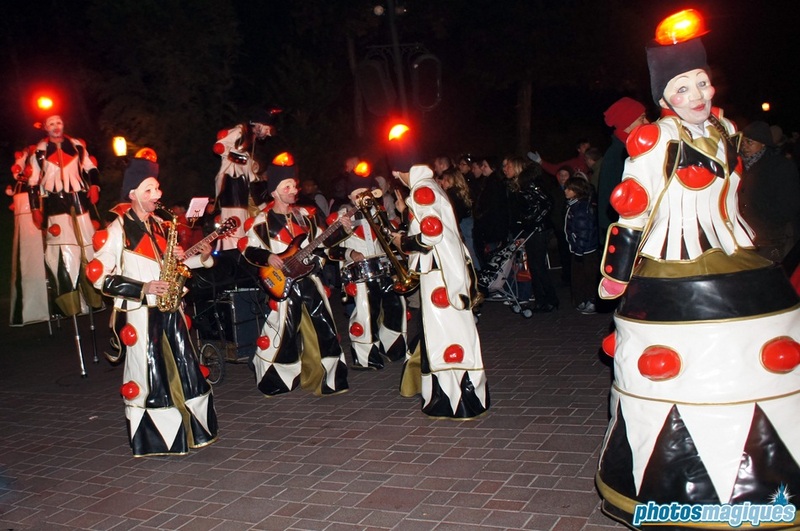 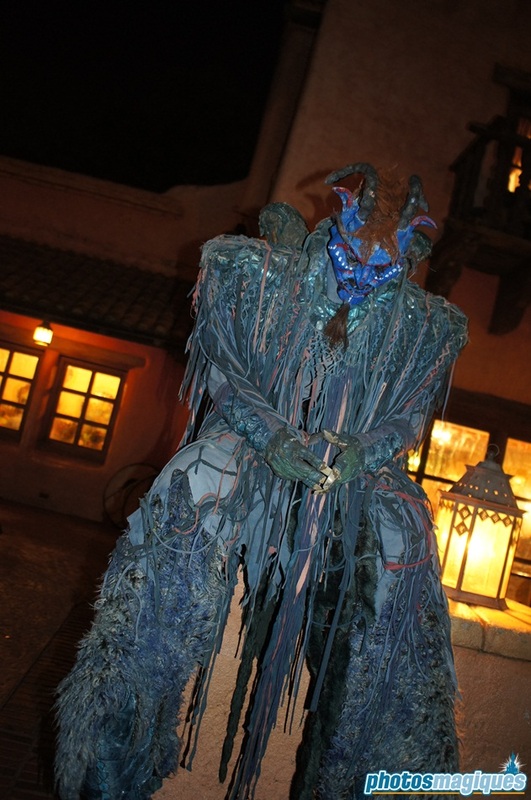 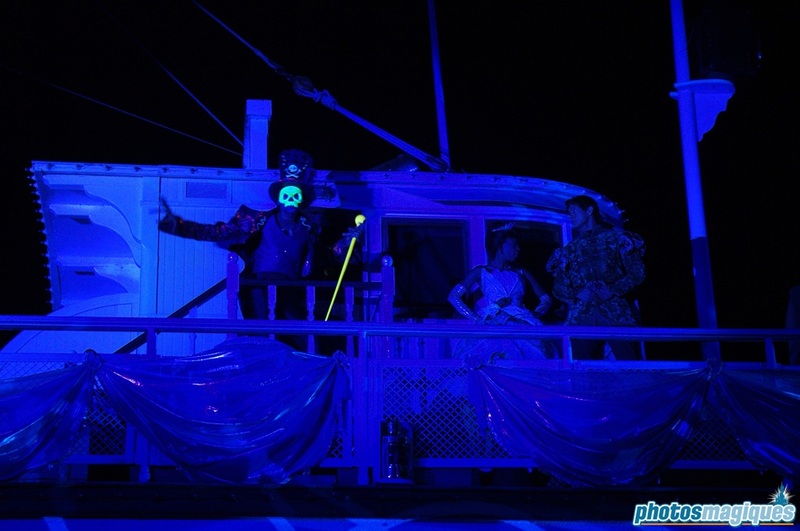 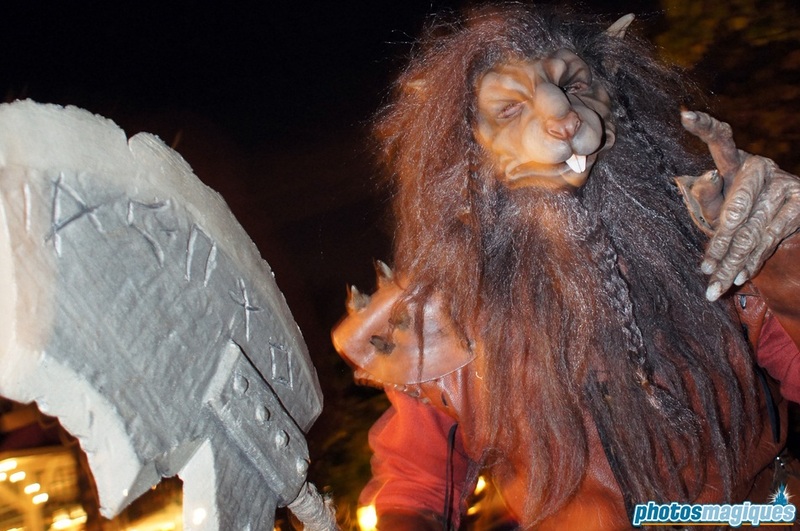 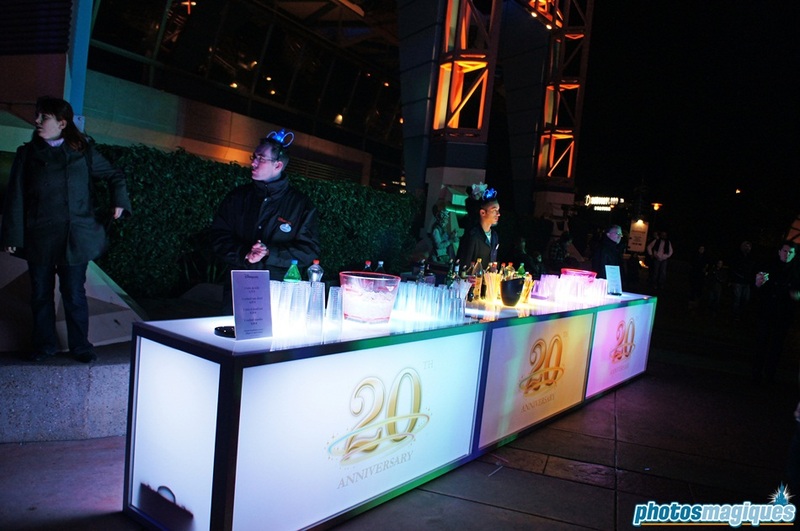 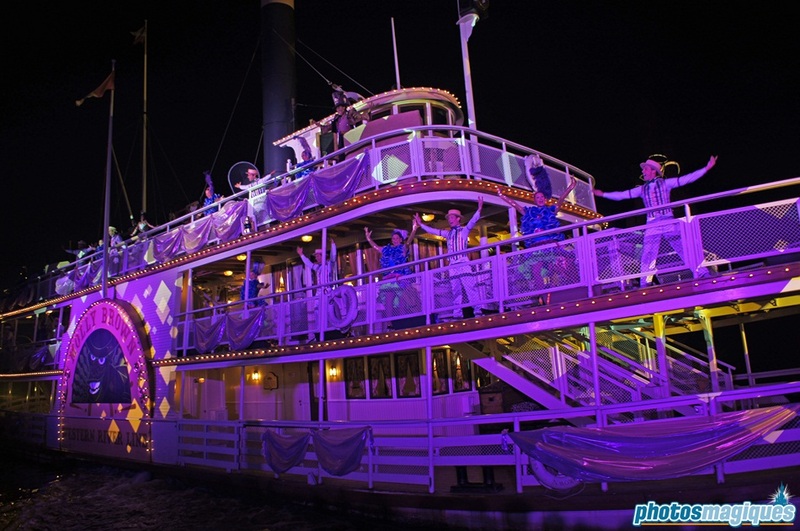 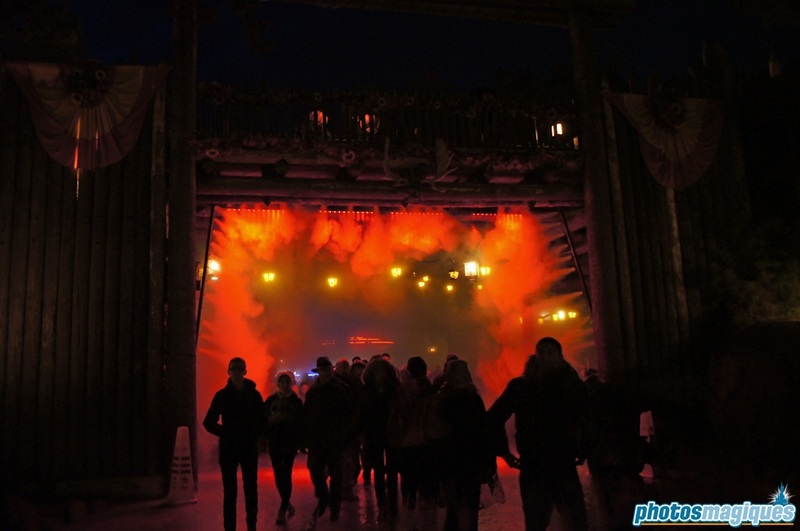 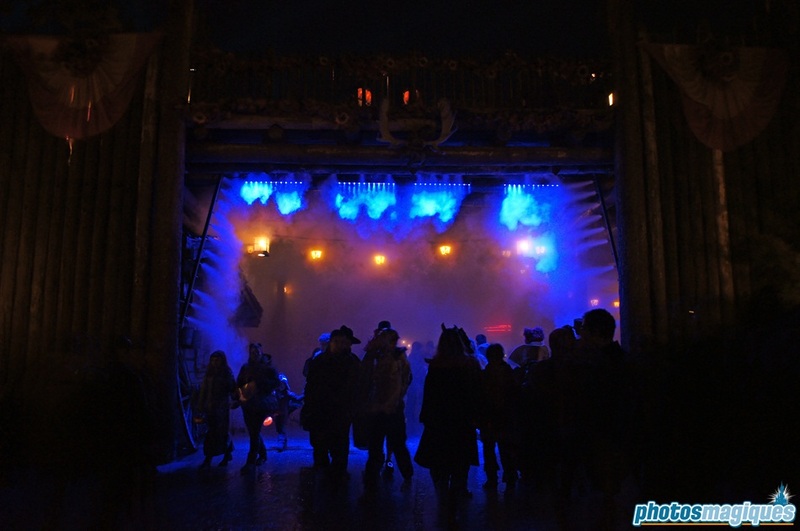 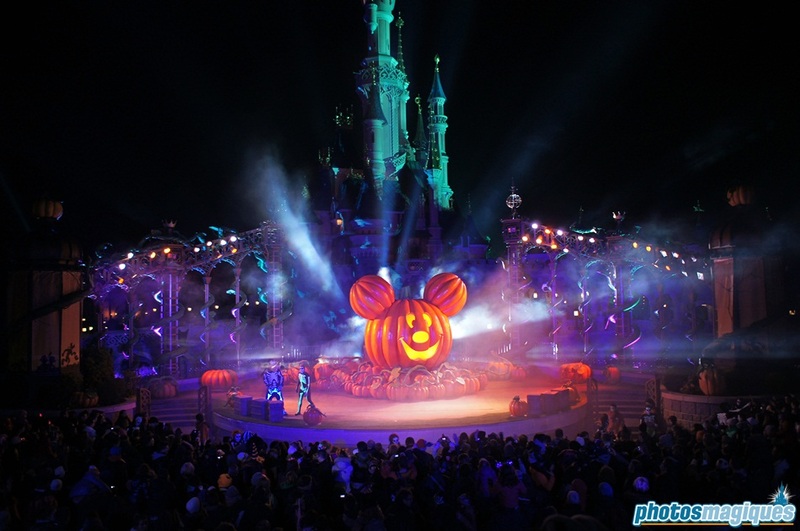 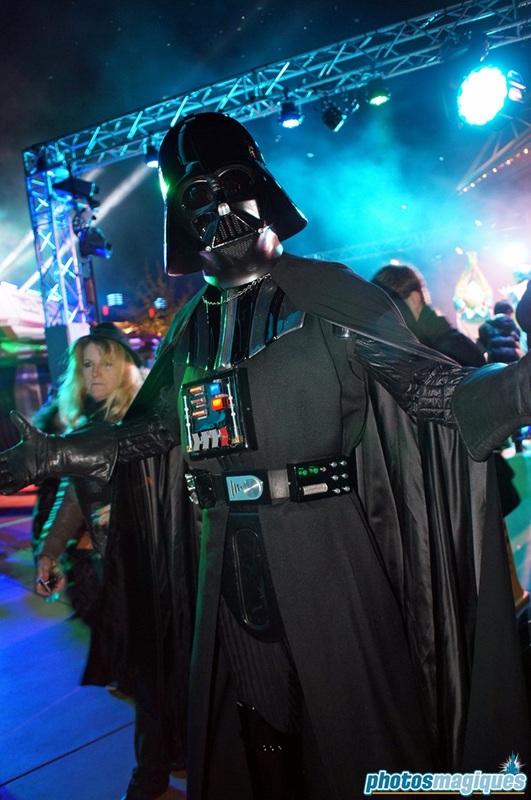 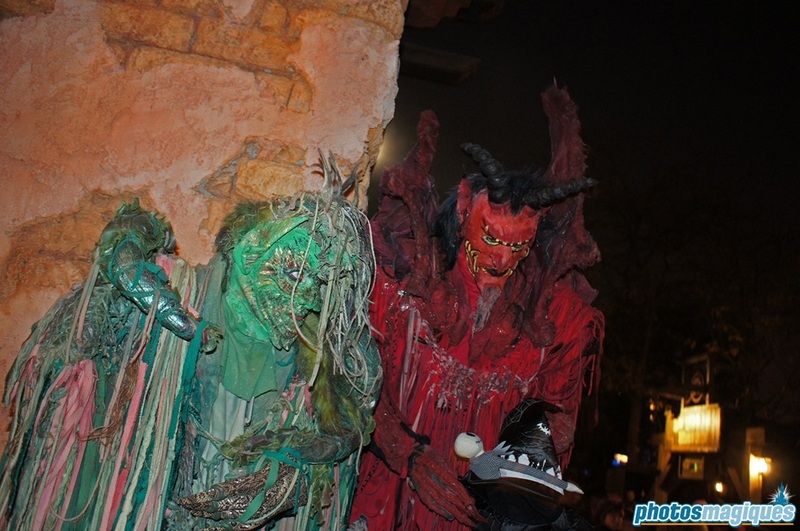 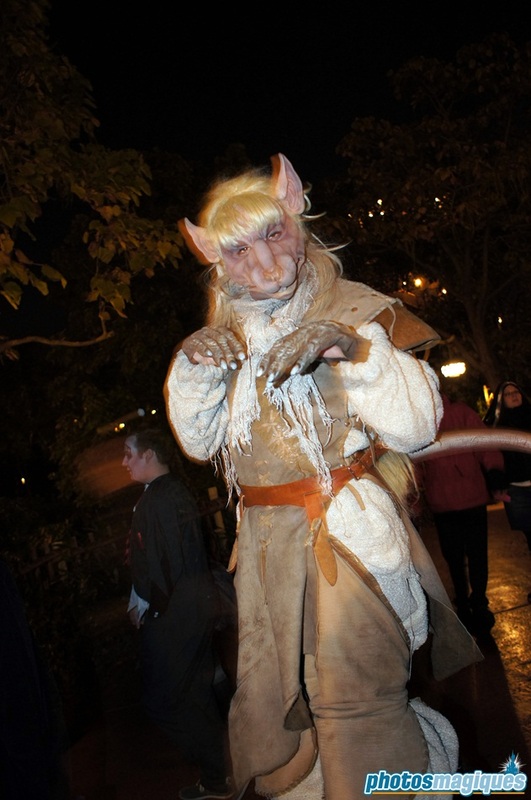 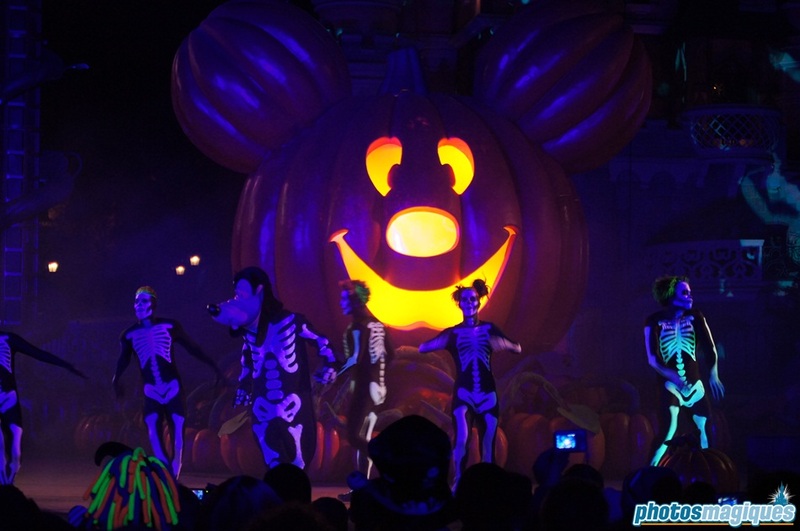 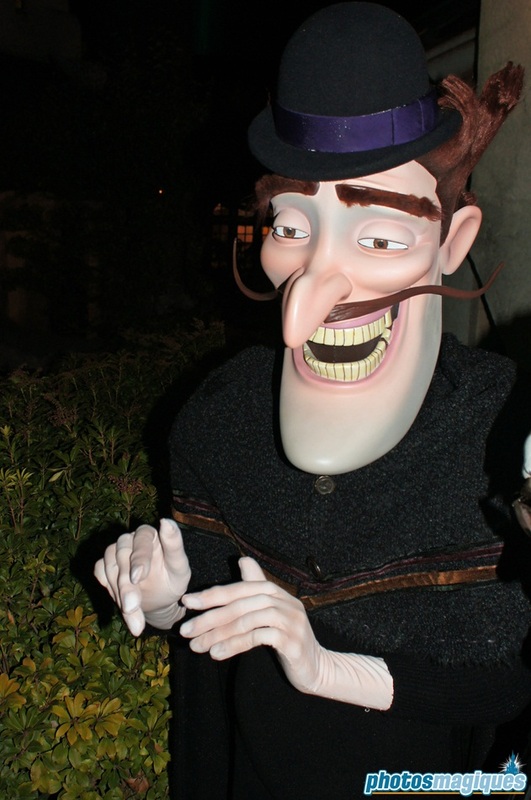 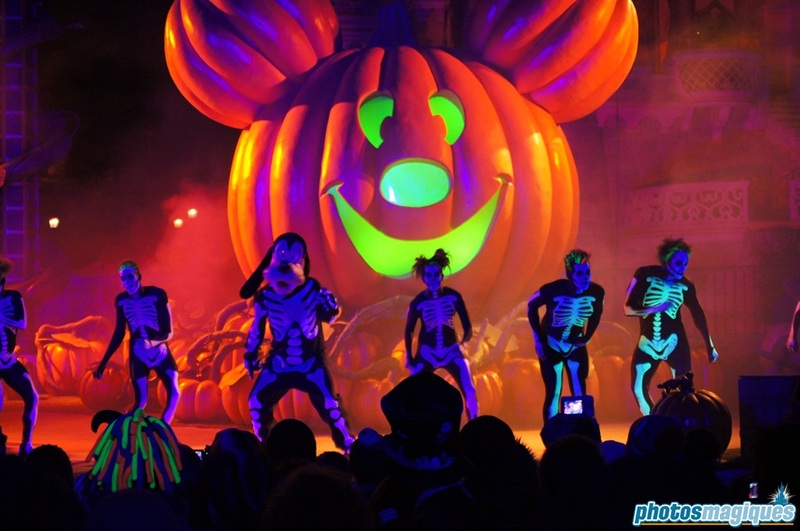 Disney’s Halloween Party (also dubbed Soirée Halloween Disney in French) is the popular hard ticket event on the night of 31 October. 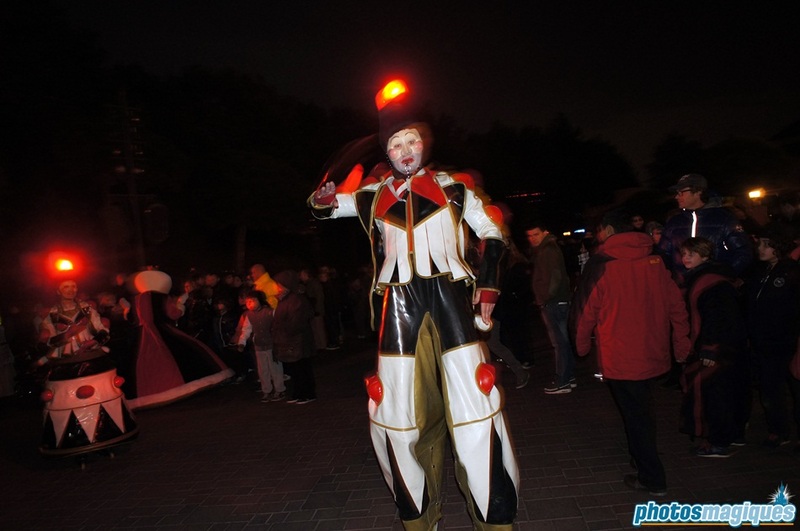 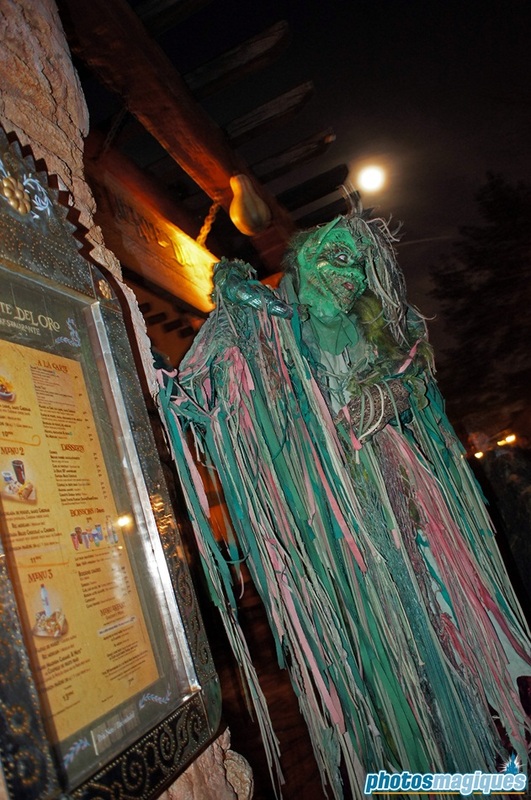 It’s an event that has grown over the years during which almost all attractions are open and streetmosphere can be found around every corner. 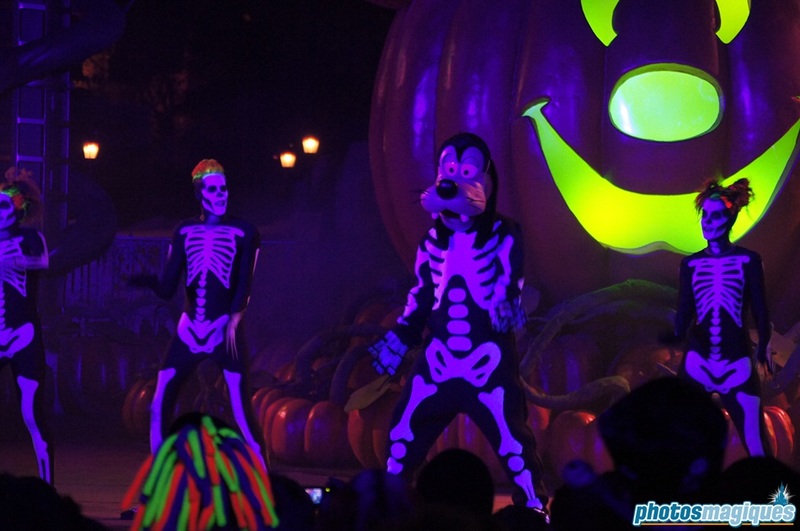 Goofy’s Shake your Bones DanceParty: a show based on Mickey’s Halloween Treat in the Street day show, but with Goofy as the main character and skeleton dancers. 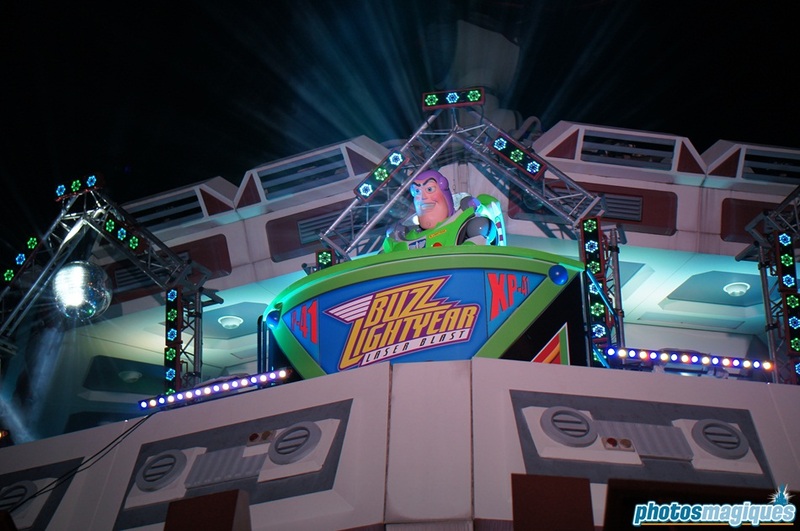 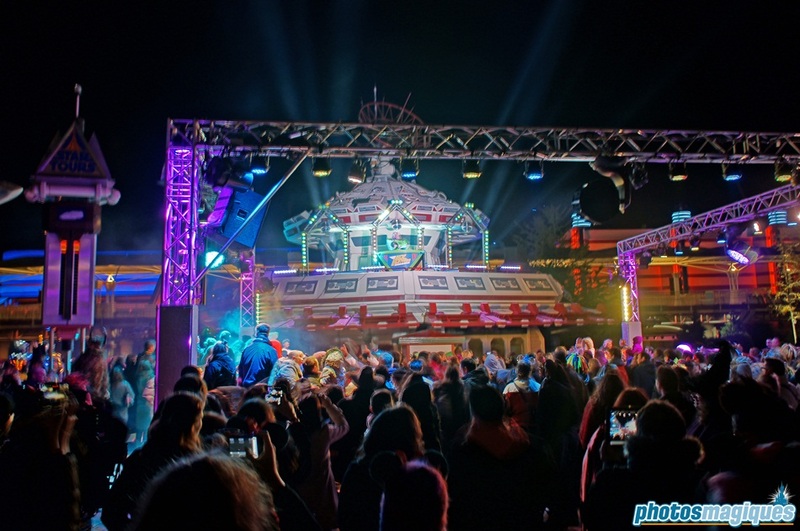 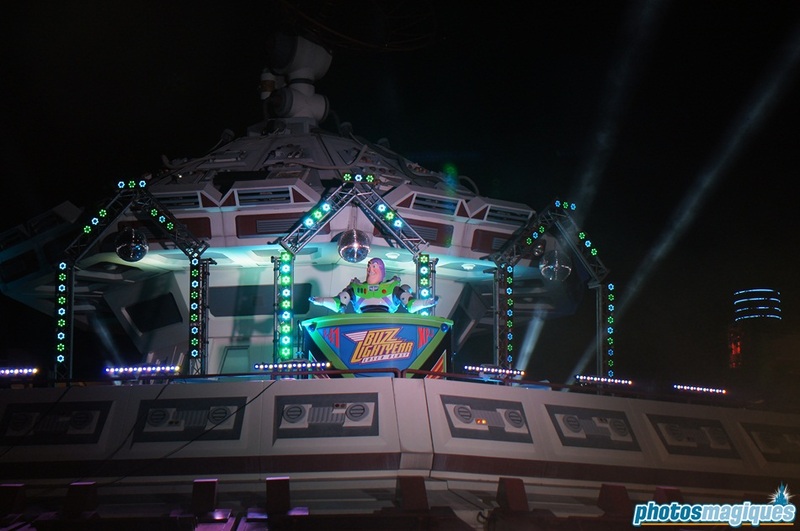 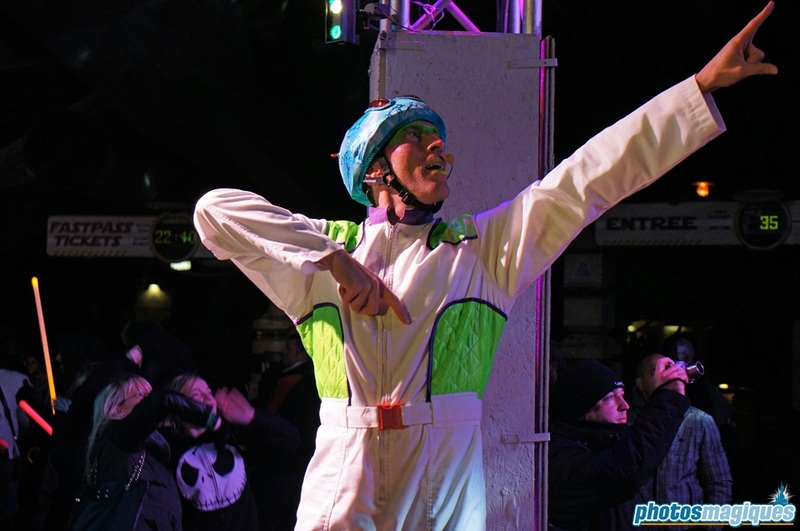 Stitch’s Alien Halloween Party: a dance party in front of Star Traders with Buzz Lightyear as guest DJ. 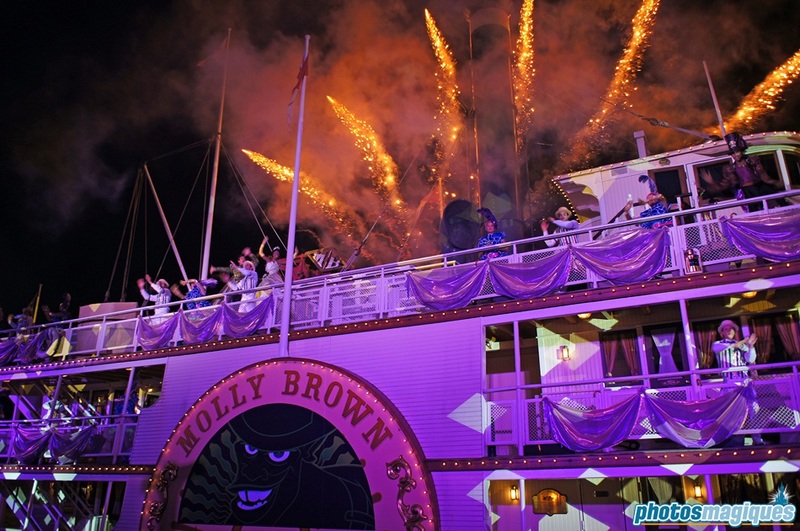 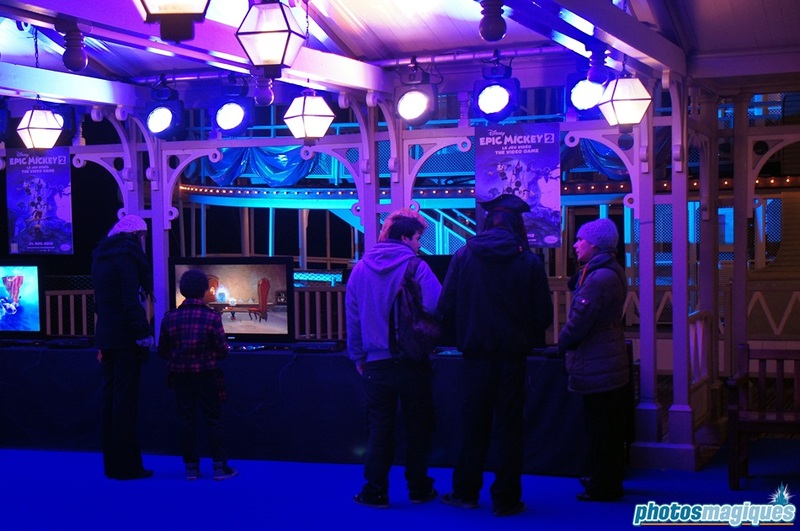 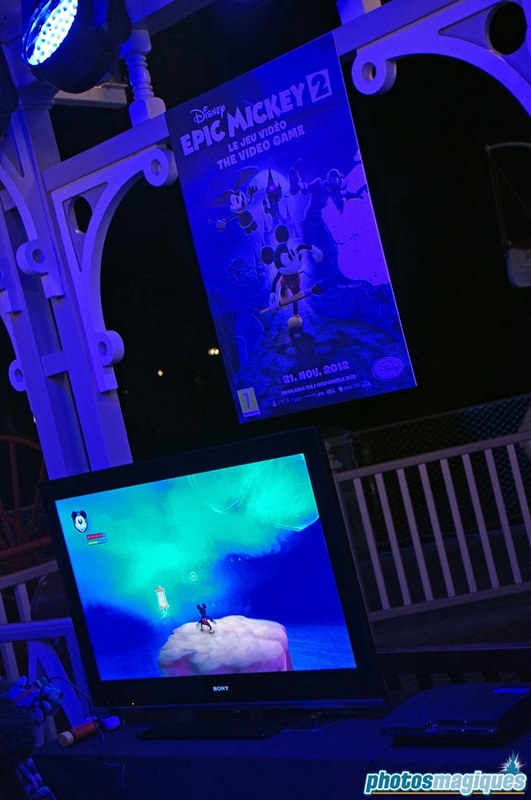 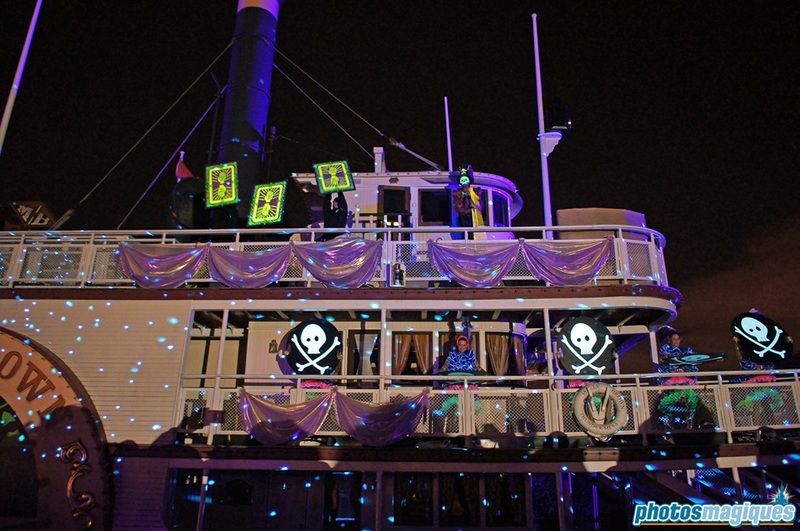 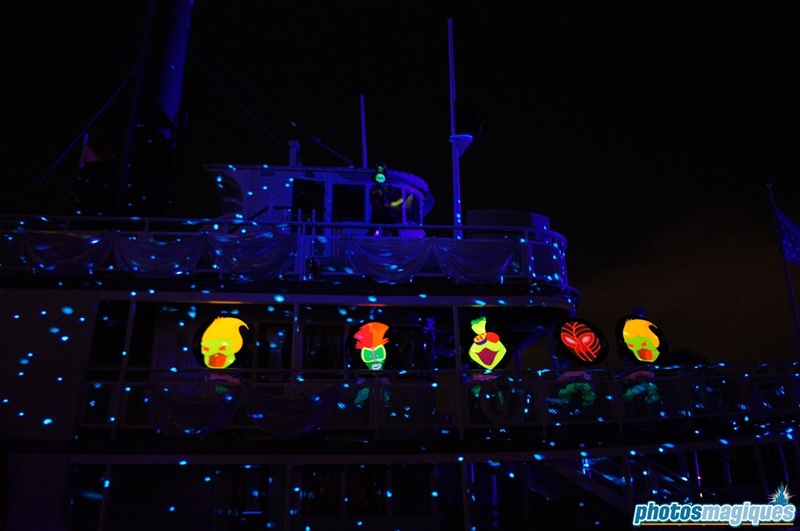 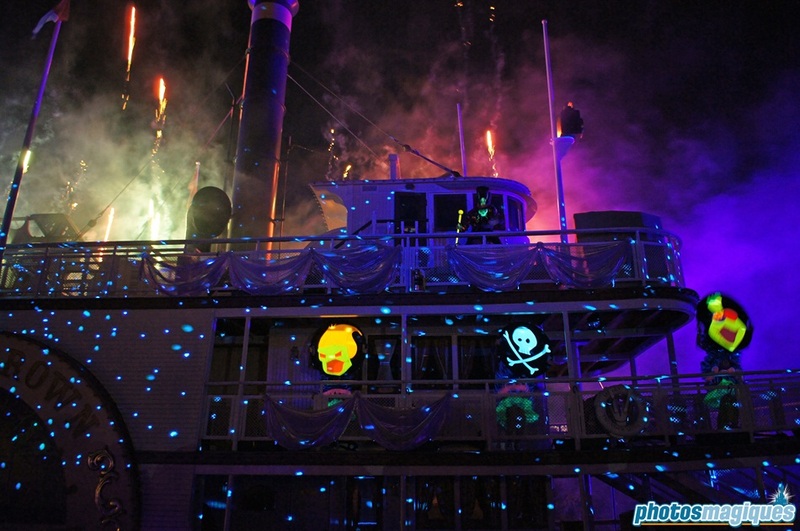 Epic Mickey 2 preview: the Riverboat Landing was transformed into a preview area for Disney’s Epic Mickey 2 game. 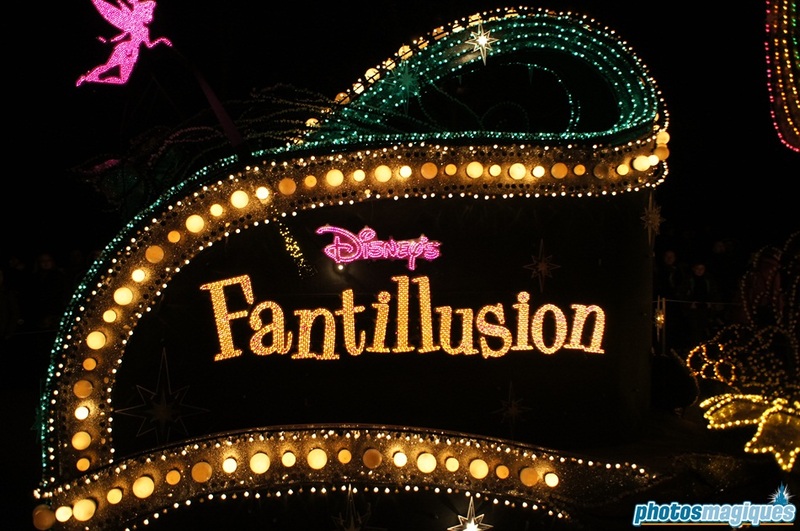 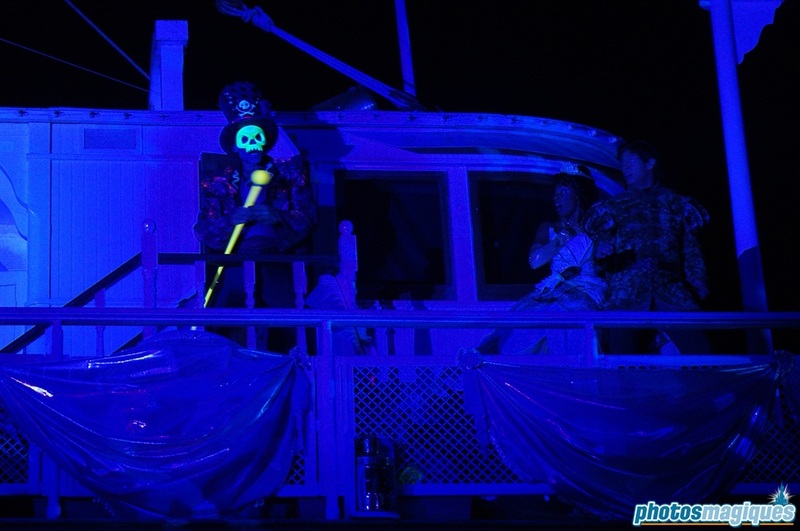 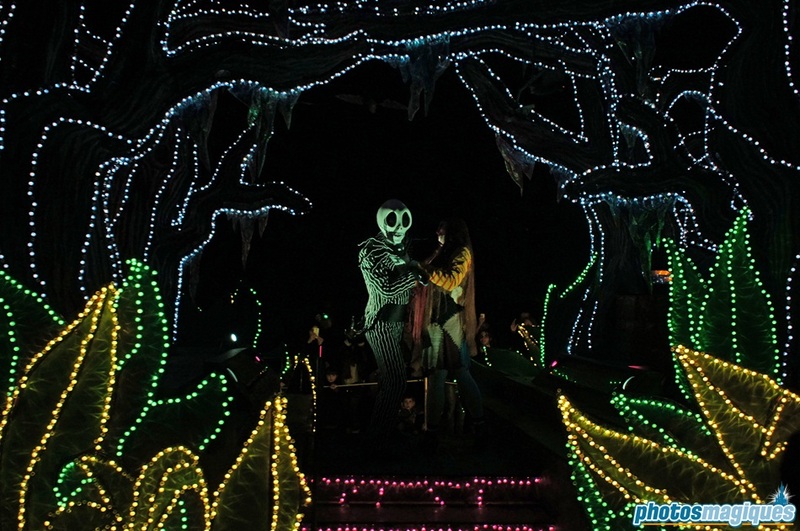 Disney’s Fantillusion: the final performance of the night-time parade with Jack Skellington and Sally on the Bat Cave float. 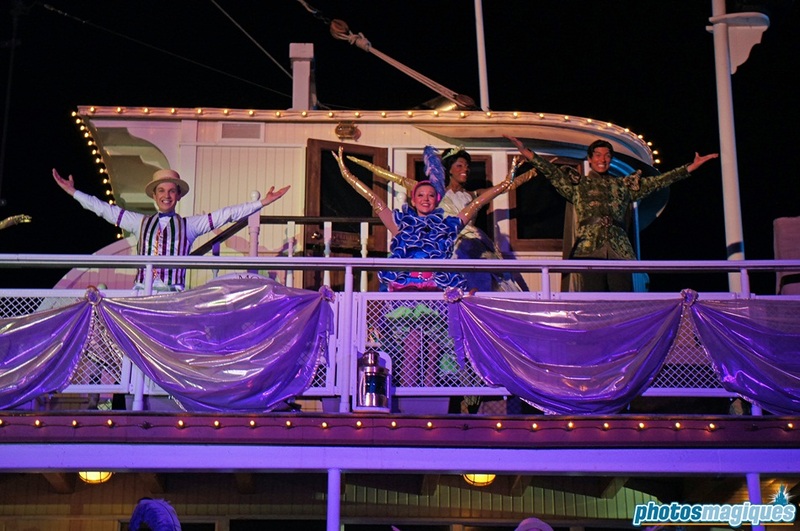 Doctor Facilier’s Carnaval-Loween: a show inspired by Tiana’s Showboat Jubilee from the American Disney Parks, with added fireworks behind Big Thunder Mountain. 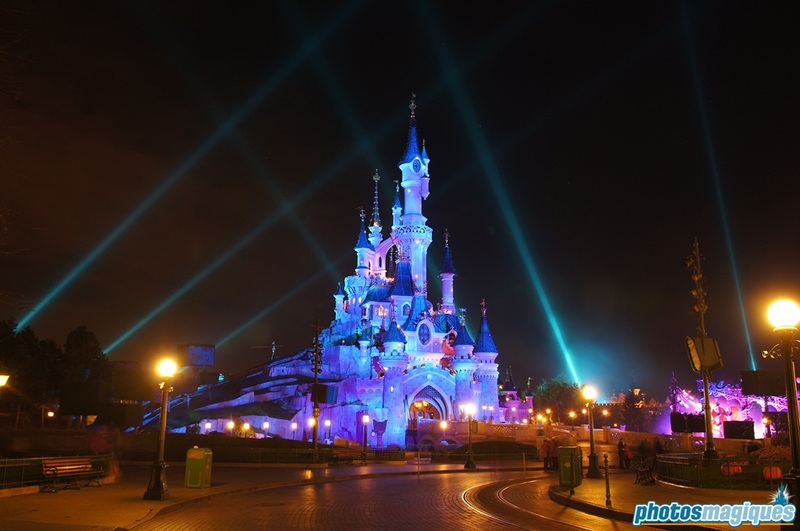 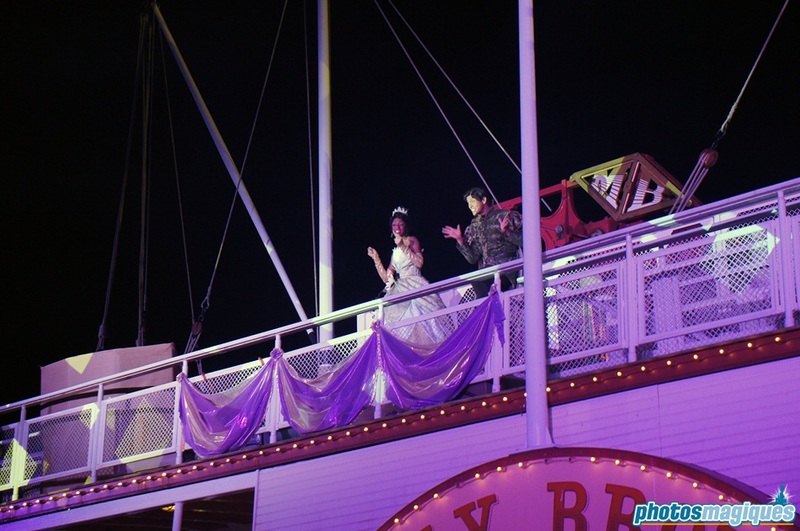 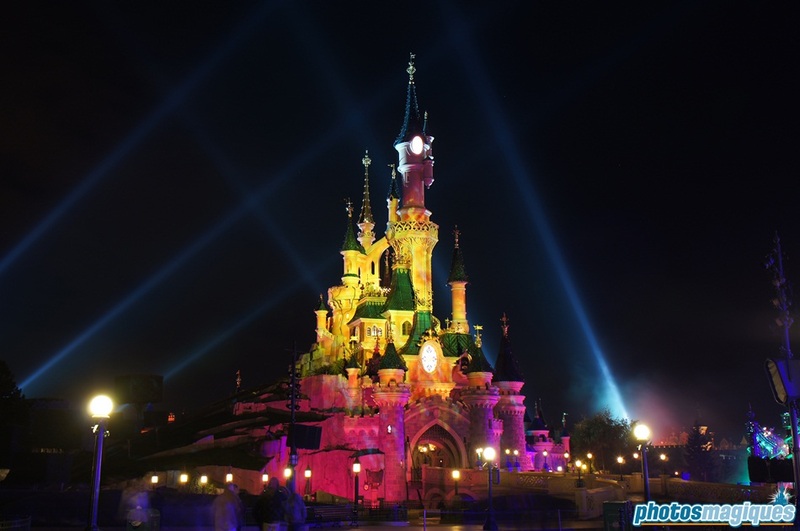 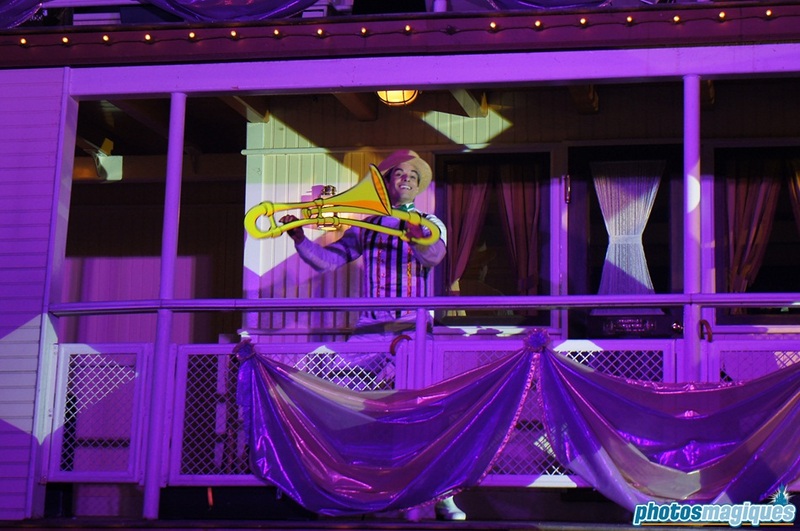 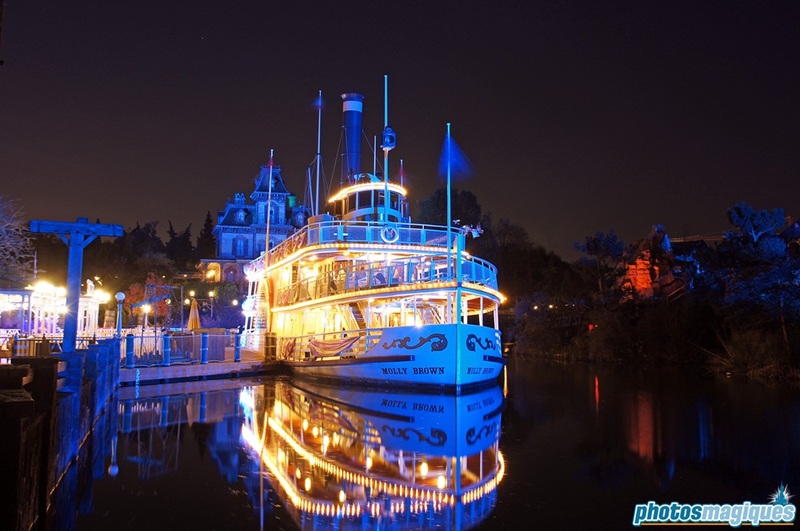 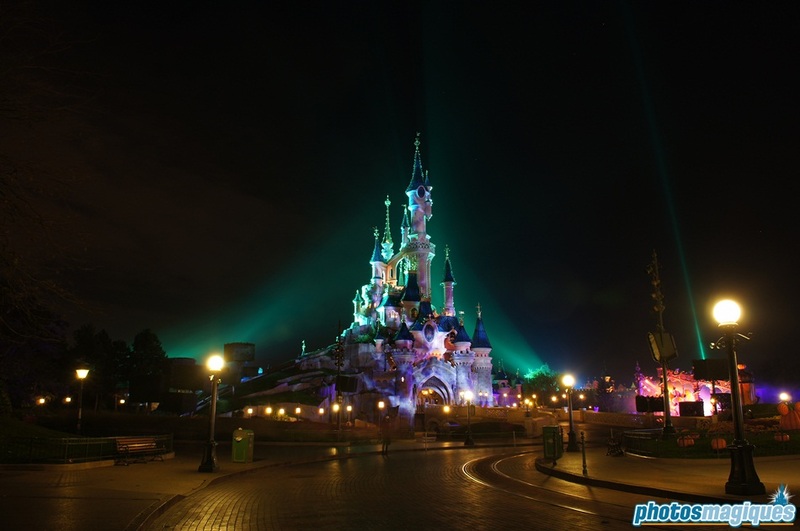 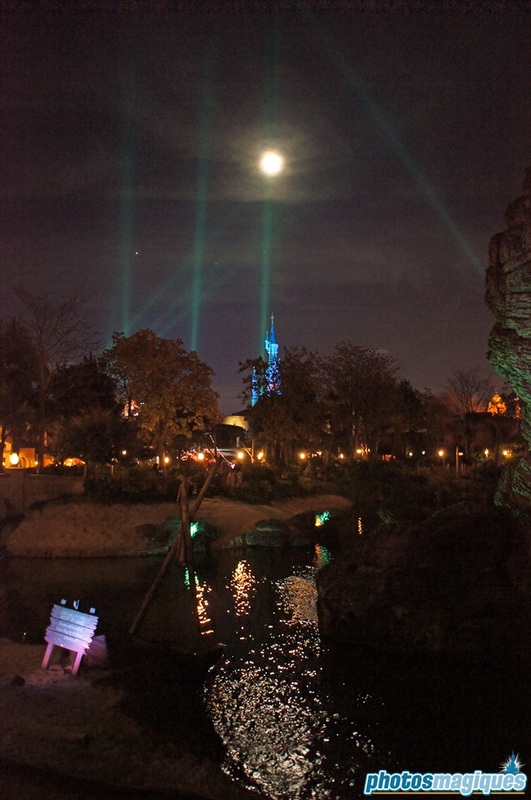 Disney Dreams: the new night-time spectacular for the 20th Anniversary was performed at 11.30pm. 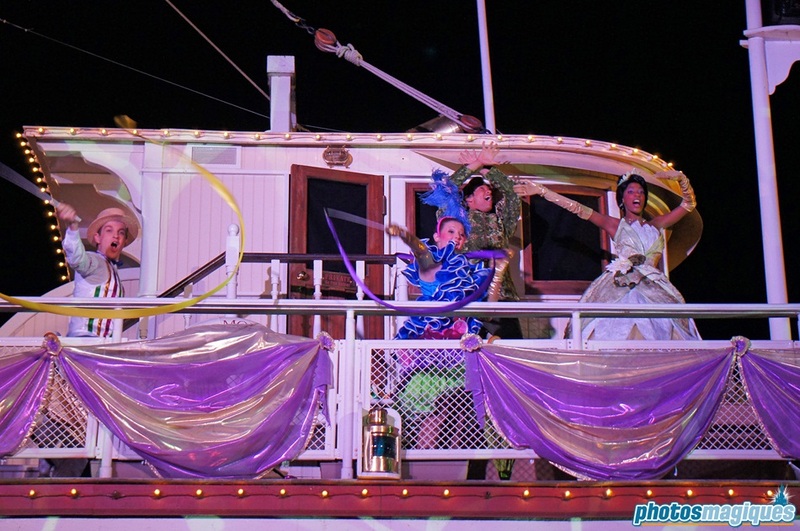 On top of all of this, there were also numerous meet ‘n’ greets with Disney characters and street performers roaming the park. 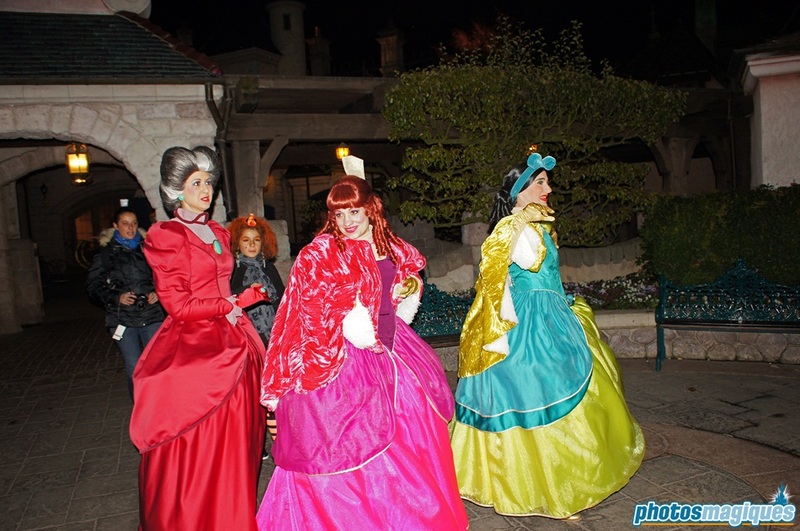 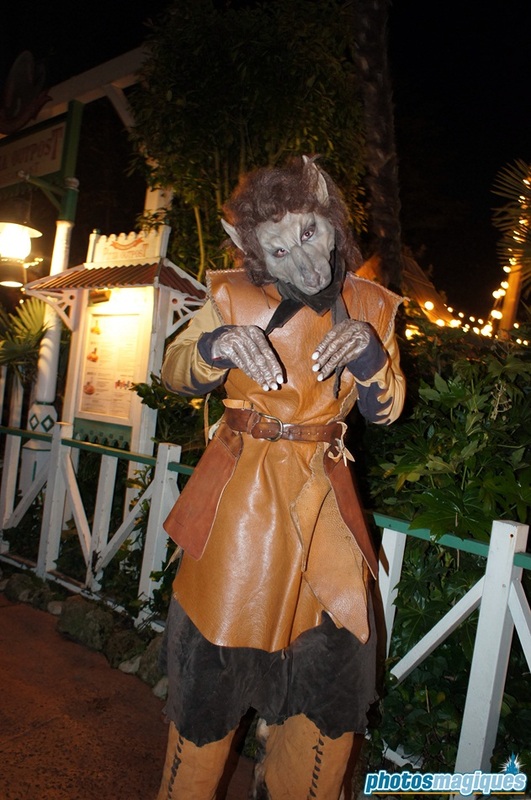 Guests can dress up as their favorite Disney Character just for this evening, but posing for pictures or signing autographs is strictly forbidden.